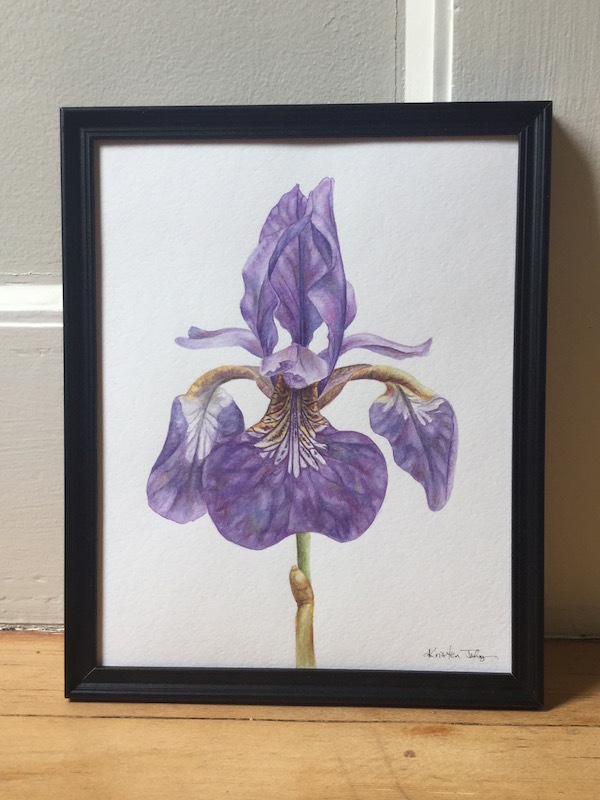 My beautiful Siberian Iris has already bloomed and faded, but I took the time to paint this watercolour while I had the chance. One of my favourite plants, this delicate bloom wins me over every year with its complicated form and tall graceful grasses. Plus, it serves as a hummingbird feeder in my yard which adds to the show! I used watercolour for this one and it's on paper, 8x10 inches. Wow! There's so much happening in every painting you do! I love the elegance of symmetry, royal colors and beautiful patterns. Interesting and memorable!